Sen. Ted Cruz (R-TX) is facing a host of novel “originalist” arguments indicating that he is ineligible to serve as President of the United States. Last week, Breitbart News drained a fever swamp of speculation by publishing Cruz’s mother’s birth certificate, proving that she was born a U.S. citizen. 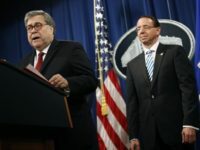 Radio host, litigator and former Reagan administration official Mark R. Levin argues that the issue is clear—and has been for some time. Nevertheless, the argument has continued. Both point to what they say is an irony—that an originalist interpretation of the Constitution, as they understand it, would bar Cruz from the Oval Office, while liberal interpretations would allow him to serve. But these liberal readings of originalism, and liberal readings of the Constitution itself, are incorrect. A correct originalist reading of the Natural Born Clause and instead compels the conclusion that Ted Cruz is a natural born citizen under Article II of the Constitution, and therefore eligible. As Breitbart News previously noted, under originalism, every provision of the Constitution is interpreted by examining: (1) the plain meaning of those words at the time they were adopted by the American people, (2) the history of that provision in terms of what the nation was discussing or grappling with at the time, and (3) the structure of the Constitution itself. Professor Lee separates parts (1) and (2) into “originalism” and “textualism,” respectively, but that is not a distinction that most originalists themselves would make. The same originalist methods that interpret the Second Amendment to apply to the “people” and not to a “militia” apply here, as we show below. All three of the factors of originalist analysis above point in the same direction in this case, leading to the conclusion that conservatives should regard Cruz as a natural born citizen. The Supreme Court noted that the Militia Act of 1792—passed by Congress a single year after the Second Amendment’s ratification in 1791—broadly invoked the “militia” as referring to the general body of able-bodied adult citizens, not to any organized military force, and therefore that the original meaning of “militia” actually supported the view that the right to bear arms belongs to all private adult citizens who are law-abiding and peaceable. The Court has always held that laws passed by the First Congress (1789–1790), many of whose members were also part of the Constitutional Convention, and signed by President George Washington, who was also the president of the Constitutional Convention, are strong and weighty evidence about the original meaning of any similar provision in the Constitution. The 1790 statute explicitly designated as “natural born citizen” children born to an American mother where the father was a noncitizen. However, Lee claims that a 1790 law calling someone a “natural born citizen” and conferring citizenship at birth nonetheless did not make that person a “natural born citizen” under the Constitution for the purposes of eligibility for the presidency. Instead, he looks to common law precedent and other sources to support his academic theory. That is precisely the opposite of what any originalist would do. The Supreme Court in Heller did not say that the 1792 law’s definition of “militia” is somehow different from the Second Amendment’s. Instead, the Court used the statute’s definition to confirm to the Court what meaning the Framers of the Constitution were using when they adopted the Constitution. And where such contemporaneous congressional acts shed this light, courts do not conclude that Congress’s meaning is trumped by ancient English or European laws to the contrary. This common tool of constitutional interpretation was used as recently as 2014. In Town of Greece v. Galloway, the Supreme Court reaffirmed an earlier decision holding that prayers to start official meetings do not establish a government religion in violation of the First Amendment’s Establishment Clause—even if they are sectarian prayers proclaiming the beliefs of a specific religion (such as including the name of Jesus or referencing beliefs in salvation). It noted that the First Congress had passed laws creating the office of a paid chaplain in the U.S. House and another in the U.S. Senate, who would offer public prayers every day Congress was in session, and on that basis held such prayers are not an establishment of religion under the original meaning of that term. Similarly, here, Congress’s contemporaneous defining of the term “natural born citizen” in a 1790 statute is compelling evidence of the definition used by many of those same people when they drafted or ratified the Constitution’s Natural Born Clause only a short time earlier. It means a person was a citizen according to his or her natural birth into this world, rather than through a legal process (of immigration and naturalization) that they went through later in life. Ted Cruz was never required to immigrate or go through a naturalization process. In the eyes of the U.S. government, he has been a citizen since his birth. Beyond that, as noted in our first report, the historical context in which the Constitution was drafted indicates clearly that the primary intent of the Framers was to ensure that the president of the United States—above any other citizen—would have complete loyalty to America. whether it would not be wise & seasonable to provide a … strong check to the admission of Foreigners into the administration of our National Government; and to declare expressly that the Command[er] in chief of the [A]merican army shall not be given to, nor devolve on, any but a natural born citizen. The Natural Born Clause seeks to ensure that since American diplomacy and the American military are under the control of the president, that he would not have any conflicting loyalties, especially in the event of conflict. For example, if America went to war again with Great Britain (which many of the Framers considered likely), they did not want an American president who had grown up in Great Britain and might secretly sympathize with the British government and British people, and who might as a consequence not vigorously prosecute the war effort. 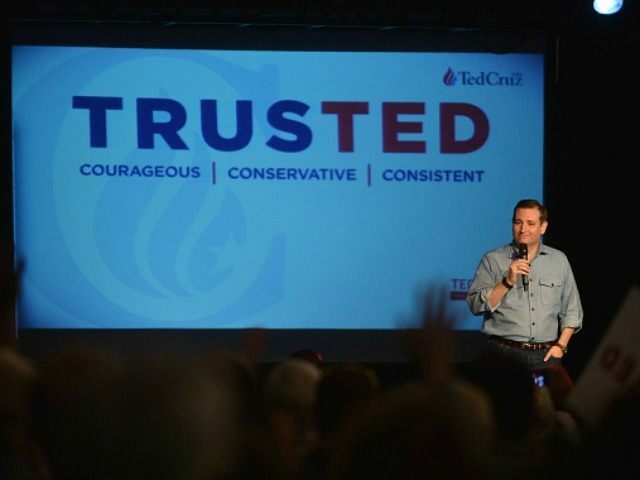 Cruz not only grew up in the U.S., but is fiercely loyal to it and already served it honorably in high public office. Finally, originalists compare the structure of a provision in the Constitution to other provisions with similar language. Again, in Heller, the Court held that the Bill of Rights’ use of the term “the people” in the First, Fourth, Ninth, and Tenth Amendments confirmed the Court’s reasoning that “the people” in the Second Amendment meant private citizens, not state government militias. As noted in our first report, the language of the Natural Born Clause parallels two other constitutional provisions, one requiring that candidates for U.S. House must be (1) at least 25 years old, (2) have been a U.S. citizen for seven years, and (3) be a resident of the state that elects them at the time of their election. Similarly, U.S. senators must be (1) at least 30 years old, (2) have been a U.S. citizen for nine years, and (3) be a resident of the state that elects them at the time of their election. Together, these three provisions thus dictate those qualifications for every elected federal official. Structurally, these three provisions are identical. They specify (1) how old you must be, (2) how long you must be an American citizen, and (3) how long you have been a resident of the United States. Under that reading, the Natural Born Clause would require that a president has been an American citizen his whole life—meaning a citizen at birth—as well as at least age 35, and a resident of anywhere in the United States for the past fourteen years, not a resident of the United States at the precise moment of his birth. It would have been easy for the Constitution to say, simply, “born in the United States.” The fact that it chose the language it did is significant. All three factors an originalist considers—original plain meaning, history, and structure—point in the same direction here. A person is a natural born citizen for purposes of Article II if he was a citizen the moment he was born. Cruz was born to an American mother, and therefore both under the laws of this nation’s founding, and also the laws in effect when he was born in 1970, he is a natural born citizen of the United States. There may be other arguments, both legal and political. But it is important to note that an originalist argument—as opposed to originalist arguments narrowly construed by critics of originalism—does indeed provide a very strong case for Cruz’s eligibility under the Natural Born Clause.